Formula E is growing. As we are about to launch into the 4th season, now with Renault/Nissan, DS/Citroen, Jaguar, Audi, BMW, Porsche and electric car makers such as NIO and Venturi, you can’t ignore it. Many of these bring their own drivers, employed directly by manufacturers who place them with their partner teams. Some fell off the F1 conveyor belt and seemingly vanished, some made a name in sports cars which can be hard to keep up with, especially if your main focus is elsewhere. A lot of people won’t know their achievements, so who are they? This is a shameful format theft of Christine’s post on Sidepodcast, where she looked at the line-up exclusively from a Formula 1 perspective, a useful resource, I had no idea so many of them used to test F1 cars for a living! Go read that then come back here. To complement this I’m looking from the other angle: What have these drivers achieved outside F1? But really, blame Mr C.
2nd in GP3 points at the first attempt, results in GP2 and elsewhere were less impressive. Was he promoted too soon? Podium in the 2016 Dubai 24 Hours. Hasn’t matched team-mate Lucas di Grassi in 3 FE seasons. Is it him, is it bad luck, or are the team focused on Lucas? FE experience: All 3 seasons, best result 2nd place (twice) and 7th in points. I remember Jérôme as a quick GP2 driver, the results sheets don’t bear this out so I’m going to say he was unlucky. Won Monaco GP2 sprint race, finished 2nd in 2008/09 GP2 Asia Series. An informative and funny co-commentator with Will Buxton on GP2 in about 2012, when his main job was F1 tester with Lotus-Renault. I can’t shake the feeling he ought to have had a better career – if Lotus hadn’t collapsed he might’ve made it. FE experience: 3 seasons including 2 race wins and a best of 4th in points. 2016 FIA World Endurance GTE Pro runner-up, 2 class wins. 2015 FIA World Endurance LMP2 Champion, 4 class wins. 2013 GP2 Series runner-up, 5 wins. One of the few to race successfully in both Formula E and sports cars for the last 3 years. World Champion in the LMP2 class (4 wins and a podium at Le Mans), then hired by Ferrari in the GTE Pro division where he has 4 class wins over two years. This all while racing in FE where he has 5 wins. Clear winner of the WEC / Formula E clash last year. While Buemi threw away a title and Lopez a career at WEC Nurburgring, Bird won both races of the New York FE double-header. FE experience: 3 seasons including 5 race wins, 4th in points for the last two seasons. Serious title contender for ’18. 2014 FIA European F3 runner-up, 6 wins. At Hong Kong his place will be taken by Kamui Kobayashi for sponsorship reasons. BMW driver, the Andretti team will be linking with BMW next year. Three seasons in DTM with 1 win. Entered one WEC race at Shanghai 2016 where he finished 2nd in LMP2 with Antonio Giovinazzi and Sean Galael. And yes, his Dad is the famous rally driver. 2016/17 FIA Formula E runner-up, 6 wins. 2015/16 FIA Formula E Champion, 3 wins. 2014 FIA World Endurance LMP1 Champion, 4 wins from 8 races. 2013 Le Mans 24 Hours runner-up. 2007 FIA European F3 runner-up. The most successful driver in Formula E with 12 wins, double the next nearest (di Grassi with 6). He took 6 wins from 12 races last year, but didn’t start 2 and was DQ’d from 2. Lost the title by missing the New York double-header to race WEC, the Toyota contract took precedence. F1 with Toro Rosso before moving to Toyota’s LMP1 WEC team. 2014 WEC LMP1 champion with 10 career wins and a best of 2nd at Le Mans. Shared his Toyota with Anthony Davidson the entire time, including the wins and championship, since 2015 the partnership has included Kazuki Nakajima. FE experience: 2015/16 Champion, 12 career wins. Favourite for 2018. 2012 & 2016 Macau F3 Grand Prix winner. Meant to be the Next Big Thing on the Red Bull driver programme until he was removed, despite a very promising run in Formula Renault 3.5 in which he took 7 wins in a season and a half. I never worked out why he got dropped and I don’t think I’m alone. Results-wise he’s not been the same since. One win in 3 DTM seasons with BMW. In 2017 he moved to GT racing with BMW. Since he’s been in DTM he has also raced in FE with the odd flash of brilliance and a race win but a lot of should-have-beens. FE experience: 3 seasons including 1 race win and a best of 8th in points. A large tin-top CV driving various Mercedes includes 4 years of DTM, various GT races, Australian Supercars, rejoining DTM again in 2017 and taking a win. Has done one season of FE but Venturi haven’t been at the front for a while so little chance of success. FE experience: 1 season, best finish 5th, and 17th in points. 2015 Le Mans 24hr LMP2 runner-up. 4th in 2014 GP2, 5th in 2015. Also in 2015 won the LMP2 class of the Spa 6 Hours WEC race in his first prototype start, then finished 2nd at Le Mans 24 in his second start. Joined FE last season with decent results considering it was Jaguar’s first year. Good potential. FE experience: 1 season, best finish 4th, and 14th in points. Highly-rated by some. Extensive GP2 career in which he changed teams regularly. It took 6 years to achieve his best of 2nd in points even though he changed teams halfway through the year. Made 23 starts in IndyCar over a four year period with patchy results but finished 2nd at the tricky Toronto. FE rookie. 2016/17 FIA Formula E Champion, 2 wins. 2016 FIA World Endurance LMP1 runner-up, 2 wins. 2015/16 FIA Formula E runner-up, 3 wins. 2014 Le Mans 24 Hours runner-up. 2013 Sebring 12 Hours runner-up. 2005 Macau F3 Grand Prix winner. 18 F1 starts with Virgin Racing. Three seasons in the WEC plus a handful of earlier starts, all with Audi in LMP1, including 2 wins and multiple podium finishes. 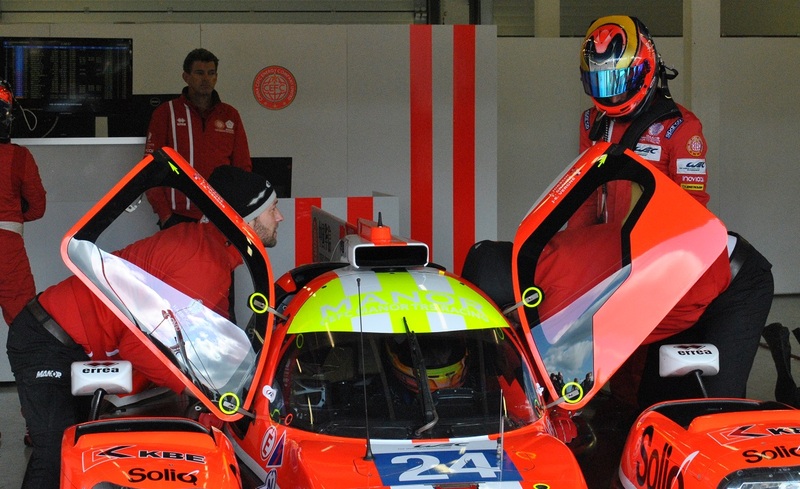 Four starts at Le Mans include one 2nd, two 3rd’s and a 4th. A long list of 2nd and 3rd place points finishes across many series until he won the 2017 Formula E title. One of the first backers of Formula E, tested the original car and is CEO of Roborace. FE experience: 3 seasons, defending Champion, 6 career FE wins. 2018 title contender. 2013 Petit Le Mans Winner. F1 for 11 years with 185 starts and 13 podium finishes. Held the record for most consecutive F1 Grand Prix finishes at 41 races. Six starts at Le Mans, all in a privateer LMP1 entry versus the factory Audis, Toyotas and Porsches but still twice managed a best finish of 4th, once with Nico Prost and Neel Jani, the other with Nico Prost and Mathias Beche. FE experience: 3 seasons, best finish 3rd (7 times), best points finish 7th. 2016 FIA World Endurance LMP1 Champion, 2 wins. 2016 Le Mans 24 Hours Winner. 2008/09 A1GP runner-up, 4 wins. 2007/08 A1GP Champion, 4 wins. 2005/06 A1GP runner-up, 1 win. Four years’ experience in a quirky single-seater winter series as lead driver for A1 Team Switzerland. 2007/08 A1GP champion and twice runner-up. Raced in Champ Car in 2007 with 3 podiums. Sports cars since 2009. 2016 WEC LMP1 Champion. He has nine consecutive starts at Le Mans, four with Porsche LMP Team including 1 LM win. FE rookie ahead of Porsche entering next year. 2016 Le Mans 24 Hours runner-up. 2010-2012 in F1 with Sauber, 2013 WEC GTE with Ferrari, 2014 F1 with Caterham. Since 2015 he’s completed 3 seasons of Super Formula, since 2016 has been in WEC LMP1 with Toyota. 3rd in 2016 WEC points including 2nd at Le Mans and a win at Fuji. Set a new qualifying lap record at Le Mans in 2017, 2.3 seconds faster than the sister car in 2nd place. At the time of writing he is entered for the Hong Kong FE rounds only. 2015 FIA World Endurance LMP1 runner-up, 2 wins. 2014 FIA World Endurance LMP1 runner-up, 2 wins. 2014 Le Mans 24 Hour LMP1 Winner. 2013 FIA World Endurance LMP1 runner-up, 3 wins. 2013 Super Formula runner-up, 2 wins. 2012 FIA World Endurance LMP1 Champion, 3 wins. 2012 Le Mans 24 Hour LMP1 Winner. 2011 Le Mans 24 Hour LMP1 Winner. 2010 Le Mans 24 Hour LMP1 runner-up. 2010 Formula Nippon runner-up, 1 win. 2010 Super GT runner-up, 1 win. 2009 Super GT Champion, 1 win. 2006 Super GT Champion, 1 win. 2004 Formula Nippon runner-up, 2 wins. A fan favourite in endurance racing. Eight starts at Le Mans with Audi including 3 wins, one 2nd and one 3rd. One Le Mans start with Porsche with a DNF. 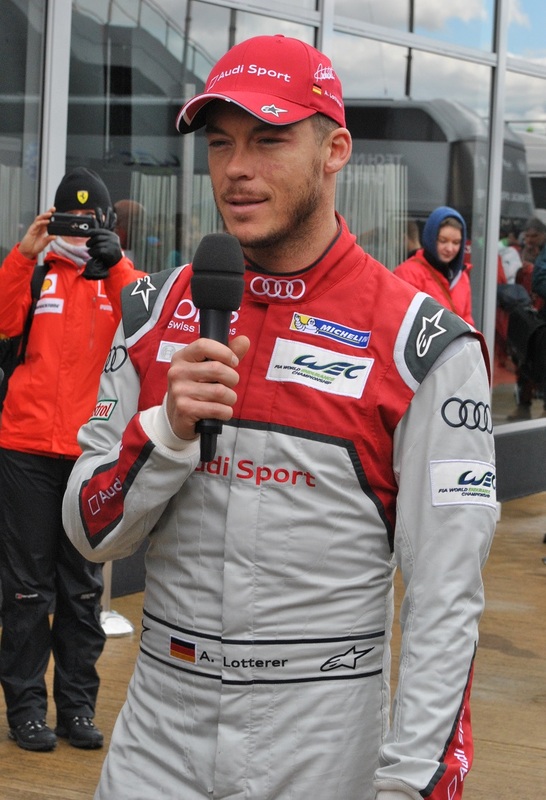 2012 WEC Champion and runner-up 3 times. A very long career in Japan dovetailing sports car racing – not just WEC but also Super GT – along with Super Formula continuously from 2003 to 2017. 2017 Sebring 12 Hours Winner. 2014 GP3 Series Champion, 3 wins. 2013 Macau F3 Grand Prix Winner. Won Sebring at his first attempt having joined the class-leading Taylor Cadillac team for that race. Also won the 2017 Spa 6 Hours in a part-season in the WEC. Recently announced as a factory Aston Martin driver for 2018 alongside his Formula E duties, so he and Virgin team-mate Bird will be rivals in WEC GT. Raced in GP2 in 2015 and 2016 totalling 4 wins, finishing 6th in points both years. FE experience: 2 races standing in for Jose Maria Lopez last year, 2 DNFs. 2017 Macau GT World Cup winner. 2016 DTM runner-up, 5 wins. 2014 Macau GT Cup winner. 2012 Macau GT Cup winner. 2011 Macau GT Cup winner. 2010 F3 Euro Series Champion, 7 wins. 2010 Macau F3 Grand Prix winner. 2009 Macau F3 Grand Prix winner. Edo has no FE experience but is the king of the Macau street circuit, both in F3 and GT cars. He’s also won in on the streets of Pau in F3, and in both F3 and DTM at the Norisring. Such history may prove beneficial. He spent seven years in DTM with 8 wins, several with Team Abt, now a rival in FE. 2014/15 FIA Formula E Champion, 2 wins. 2006 GP2 Series runner-up, 4 wins. After that incident at the 2008 Singapore GP, Piquet spent years racing anything he could get his hands on: Indy Lights, rallycross, sports cars, NASCAR, including two full years in the NASCAR Truck Series, pick something and he’s probably driven it. Close to finishing 2nd outright at Le Mans in an LMP2 car, before the Porsche caught and passed it, then the car was DQ’d for a bodywork infringement. Inaugural FE champion. Struggled since but has moved to Jaguar for ’18. FE experience: 3 seasons, 2014/15 FE Champion, total of 2 wins. Raced sports cars since 2009 in the Le Mans Series and WEC. Racing for a privateer against the factory teams means the results were difficult but still took 2 x 4th places along with Nick Heidfeld. In 2017 his team moved to LMP2 and took 4 class wins for 3rd in points. Twice won the electric car division of the ice racing Trophée Andros. Prost’s FE performances have been underwhelming given his equipment. Team-mate Buemi won 6 races last season, Prost didn’t make the podium. FE experience: 3 seasons, total of 3 wins, best season 3rd in points. 2015 FIA European F3 Champion, 13 wins from 33 races. 2014 & 2015 Macau F3 Grand Prix Winner. 2013 FIA European Formula F3 runner-up, 10 wins from 30 races. In 2016 he didn’t do a full season but raced part-time in DTM, Indy Lights and Blancpain GT, winning races in the latter two. In 2017 as well as his first FE season he also did his first Super Formula season with 3 podiums. He entered Le Mans for the first time and was very competitive, though the car fell back in the order. Linked to F1 and IndyCar drives all silly season, a hot property. FE experience: 1 season including 1 win, 3rd in points. Potential title contender. 2015 Le Mans 24 Hour LMP2 Class runner-up. 2014 Le Mans 24 Hour LMP2 Class Winner. 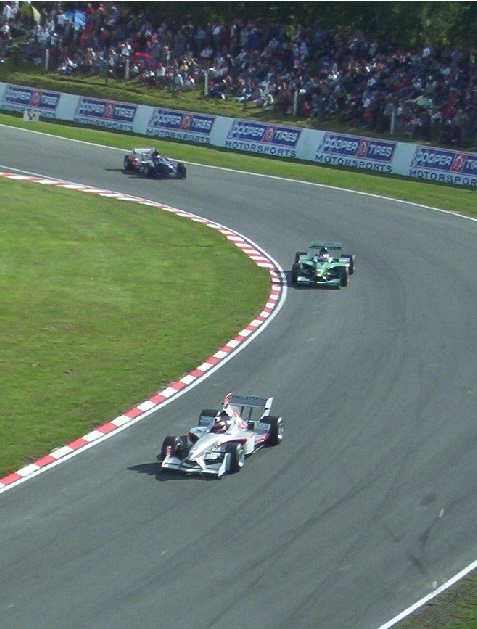 2008 British F3 runner-up, 4 wins. The bedrock of the successful Jota Sport Le Mans and ELMS campaigns in LMP2 from 2013 to 2015, winning the class at Le Mans in 2014. Also raced Super GT in 2016. FE experience: 2 full seasons plus a couple of rounds of season 1, best result 6th (x2), best points position of 12th. 2011 Formula Renault 3.5 runner-up, 5 wins from 17 races. 2010 British F3 Champion, 13 wins from 30 races. Three F1 seasons with Toro Rosso. Then straight to Formula E after missing the first couple of rounds. Raced exclusively in FE with reasonable results until 2017 when he also entered his first full season in the WEC, in LMP2 with Manor, finishing 10th points and 6th in class at Le Mans. FE experience: 3 seasons, 1 win, best points finish 5th.